A NUMBER OF staff members have been laid off at Dublin radio station Phantom FM today. It has been confirmed that a number of staff were made redundant today at the radio station, which was formerly a pirate station, founded in 1996. It won a licence for an alternative rock station in 2004. TheJournal.ie understands that up to 20 staff members are being laid off, with a small number due to remain at the station. They have been given one month’s notice. A statement this evening said that the Broadcasting Authority of Ireland has granted permission to the board of directors of Dublin Rock Radio Ltd, trading as Phantom 105.2, to restructure the business “in order to ensure its long-term viability”. 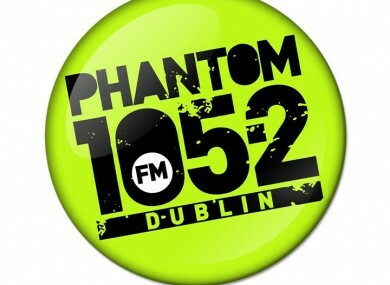 Phantom 105.2 has competed strongly in Dublin as an alternative rock music station since it launched in 2006. Despite the stations point of difference in music its market position is niche and has been disproportionately affected by ongoing reductions in advertising revenue in an increasingly competitive market. The proposed restructuring of Phantom 105.2 will result in the reduction of a number of positions at the station, the statement said. Phantom has been a labour of love that has paved the way for many up-and-coming bands over the years and, as a result, the station has a core loyal following. That is testament to each member of the Phantom team – whose personal passion for music shines through on a daily basis. It is with regret that we are announcing the station’s proposed restructuring plan to continue to deliver an alternative music service for young Dubliners. However, in doing so, we are ensuring the future of the offering and we aim to return to growth in the future. I would like to thank the team at Phantom for their ongoing dedication and patience during this difficult time. Phantom 105.2’s shareholders include Evergreen Ventures, Gaiety Investments and Communicorp Group. Email “BREAKING: Staff laid off under Phantom FM restructuring plan”. Feedback on “BREAKING: Staff laid off under Phantom FM restructuring plan”.